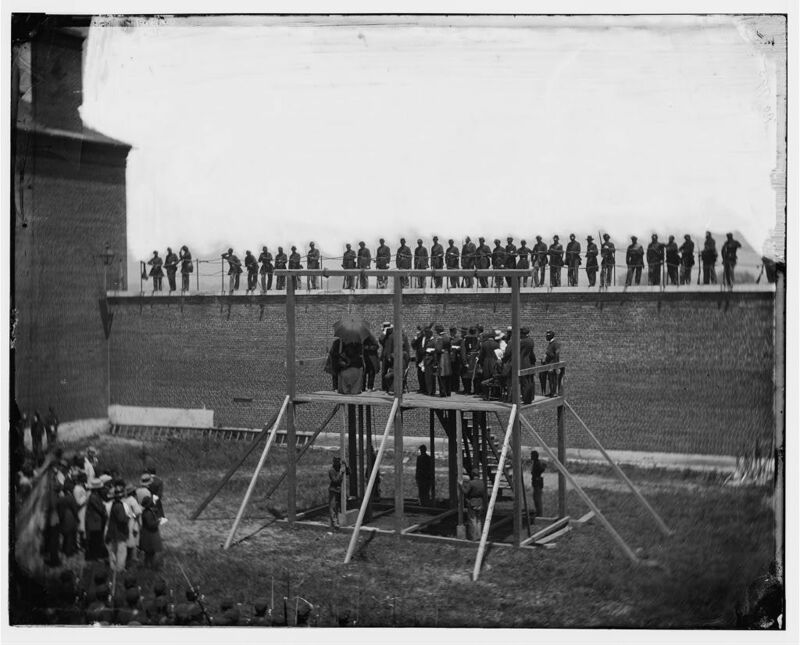 Officers guard the top of the wall of a Washington, D.C., military prison as Mary Surratt and three other condemned conspirators are about to be hung on July 7, 1865, in the assassination of President Abraham Lincoln. Surratt ran a boarding house in Washington, D.C., where Lincoln assassin James Wilkes Booth regularly stayed. Surratt's son, John, was tried and acquitted in 1867. 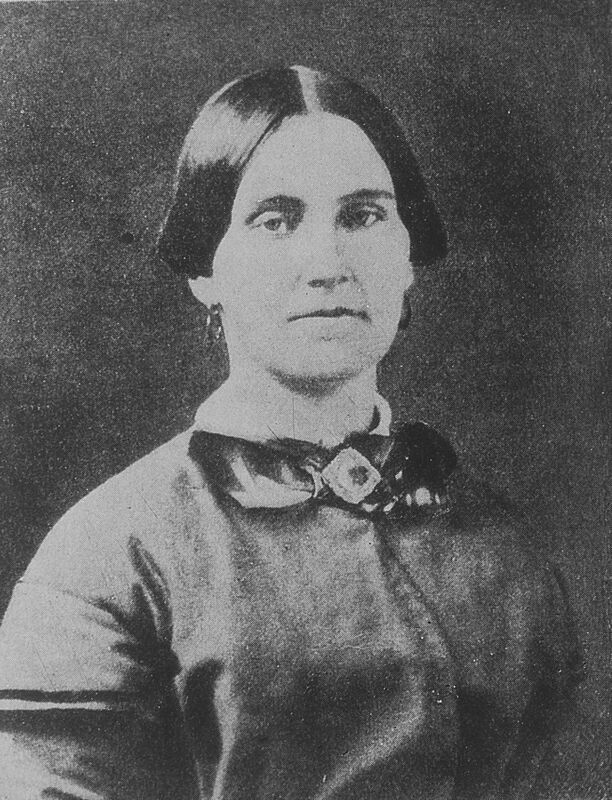 Mary Surratt was the first woman executed by the federal government.